1942 Captain Patrick Leigh Fermor, right, with George Doundoulakis in the Psiloritis Mountains. 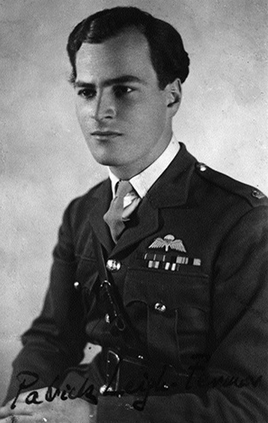 Known by his Greek code name “Mihalis”, Leigh Fermor would later achieve legendary status along with Stanley Moss for masterminding the abduction of German General Kreipe from Crete. Copyright © 2014. Helias Doundoulakis & Gabriella Gafni. All rights reserved.